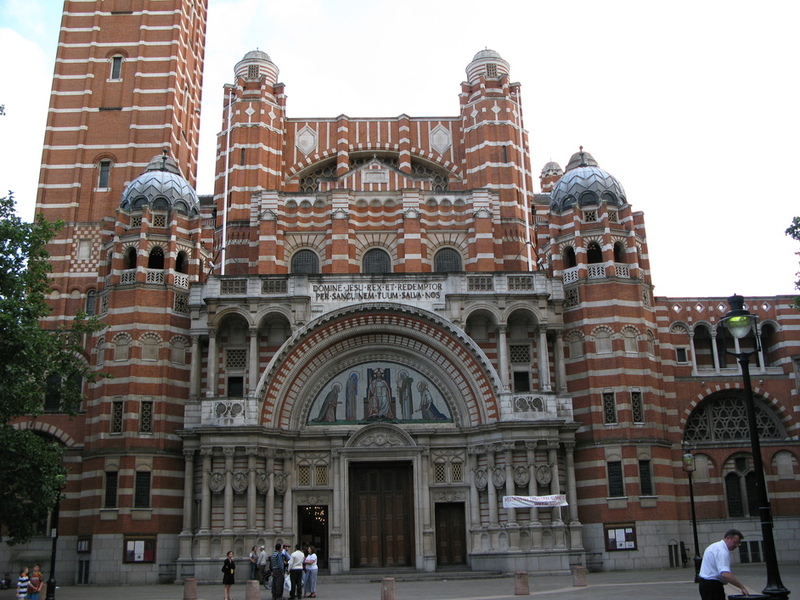 London’s only example of neo-Byzantine architecture and principal Roman Catholic Church, offers a magnificent campanile that emerges 274 feet into the sky. While 12 million burnished terracotta coloured bricks adorn the exterior, parts of the interior remain poignantly bare – a potent reminder of the lack of funding which plagued construction in 1895. Plain walls and simple candlelight form a stark contrast to the colourful mosaics and marbles, and Eric Gill's nave detailing the fourteen Stations of the Cross. Walk or take the lift up the campanile for some spectacular views of the capital. …distinctive, neo-Byzantine architecture, views from the campanile, mosaics and marbles. In 1995 the Queen attended mass at the cathedral. This was the first visit for several hundred years of a reigning monarch of the United Kingdom to a Catholic liturgy. From cheap budget accommodation to luxury 5 star hotels see our special offers for Westminster Cathedral hotels, including Grange Rochester Hotel London from 84% off.